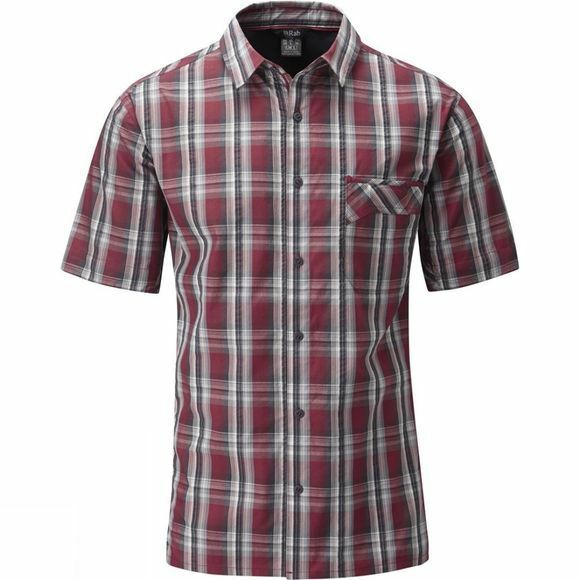 A real summer classic – the short-sleeved checked shirt – given the Rab twist. For the hotter days, the light, airy polycotton fabric has been given a wicking treatment to make it even more comfortable. With a nod to the climbers, the side panels and shoulders have the fabric cut on the bias, to give you freedom of movement without bagginess.